A new map (888) allows players to open presents that the admins have placed in the different maps. This gives the players a random new item. Snow occasionally falls from the sky. If you hold down, you can throw a snowball at the other mice. 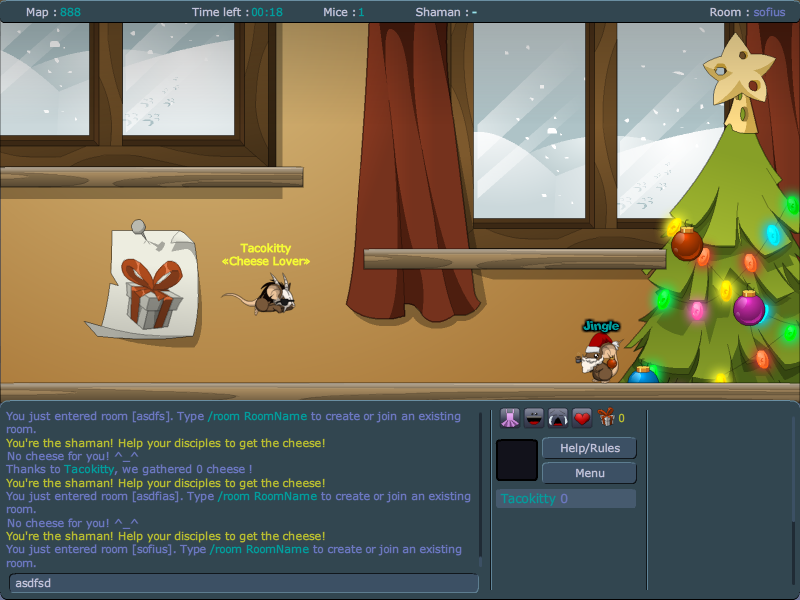 The snowballs explode, so you can kill other mice. There are new items in the shop. EDIT: And snowballs too! Only when its snowing however. you can also give gifts to other players on map 888.